Launch of Galaxy South Coast sees demise of Power FM brand in Southampton and Portsmouth. A new local radio station for Staffordshire and Cheshire joins the DAB digital radio multiplex for Stoke-on-Trent and beyond. Focal Radio will concentrate on hits from the last forty years during the day, with specialist programmes in the evening. The station is due to launch on 5th November 2008. Radio Hampshire is due to leave the South Hampshire DAB radio multiplex shortly, but it can still be heard on 107.8fm. London-based music station Easy Radio has closed down after five years on DAB. The station was replaced on 1035AM in England's capital in February 2005 by Kismat Radio, but continued on DAB in the city. Kismat Radio takes Easy's place on London's 3rd digital radio multiplex. The closure of Easy means the service won't be made available on several local DAB digital radio multiplexes due to launch next year. Eclectic music mix station The Coast will shorty be joining the Bournemouth and South Hampshire local DAB digital radio multiplexes. The station, owned by Celador, launched last month following the sale of Original 106. Environmental issues station Passion for the Planet is dropped from the Bournemouth multiplex to make way for The Coast. This month sees the demise of the Power FM name in Portsmouth and Southampton. Galaxy 103.2 launches on 22nd November 2008. Chillout music station Chill will be switching from London's 3rd multiplex to the London I multiplex shortly. The multiplex offers better coverage across London and beyond for the DAB digital radio station. Plans for Channel 4 Radio, E4 Radio and Pure 4 have all been scrapped by Channel 4, a stakeholder in 4 Digital Group which was due to launch its multiplex in Spring 2009. The cost-cutting exercise will mean the remainder of 4 Digital Group meeting tomorrow to decide the future of services on the multiplex, which include talkRadio, Closer and Radio Disney. Work has yet to be started on the transmission network for the second proposed UK-wide national commercial DAB multiplex. With the first national multiplex barely half full of services and the continuing advertising downturn, it is unlikely any of the services will launch in the immediate future. Following the closure of theJazz in March 2008, Jazz FM launches on DAB digital radio. Pure's latest radio offers a future-proof way of listening to radio across three platforms. The Revo iBlik RadioStation adds an iPod dock to a combination of radio platforms. The Pure ONE Elite builds on the success of the, erm, Pure ONE. The Pure ONE Classic dispenses with the shocking pink colourway of the Pure One. Media company sees switch to unified brand as a way of wowing advertisers, but could lead to confusion for listeners trying to track down their local radio station. Virgin Radio is soon to be known as Absolute Radio, thanks to its new owners. Herefordshire & Worcestershire, Gloucestershire and northeast Wales and west Chester licences will not launch until early 2009. Nation says goodbye to DAB? Nation Radio appears to have fallen off the DAB digital radio multiplex serving south Wales and the west of England. The station, which can still be heard on 106.8 and 107.3FM across the region, plays new and classic rock music for south Wales. The service on DAB won't be missed by some, however, as the varying output level meant a leap to the radio to adjust the volume after each track, rendering the DAB service unlistenable. The station for Wisbech, March, Downham Market and Chatteris in Cambridgeshire is set to close on Thursday, 30th July. Owners UKRD, having handed back the licence for Star Radio for Stroud in late 2006, recently announced the closure of the station serving the Fens - the second of UKRD's licences to be handed back to the radio regulator - for financial reasons. The station launched as X-Cel FM in October 1999 and was sold to UKRD in August 2001, with Star 107.1 becoming Fen Radio in November 2003. BBC 6 Music, 1Xtra and 5 Live Sports Extra can now be picked up in and around Taunton. Local digital multiplex operator wins DAB licence for Anglesey, Conwy and Denbighshire. Xfm South Wales is dead - long live Xfm! Having sold Xfm South Wales' licence together with a slot on the regional DAB multiplex for South Wales and the West to Nation Radio, Xfm London has now cheekily appeared on the local DAB digital radio multiplex for Cardiff and Newport, giving listeners in Wales' capital city the choice of two new rock stations. Sony award-winning classic rock music station Planet Rock has been saved from closure by millionaire businessman Malcolm Bluemel, backed by Fish and Black Sabbath's Tony Iommi and Ian Anderson from Jethro Tull. Planet Rock had been put up for sale by owners GCap Media following its departure from investment in its DAB digital radio stations. Its stations theJazz, Core and Life have all closed in recent times. The new owner has no immediate plans to alter the station's output and it is understood Planet Rock will be broadcast from GCap's studios in London until a new location is found. There's need to lament the passing of Xfm South Wales if Nation Radio has its way. The station, which launches on Monday 16th June on 106.8, 107.3 and DAB, promises music from unsigned bands and a daily gig guide. Xfm South Wales was put up for sale by owners GCap Media having been on-air for barely six months. It has been bought by Town and Country Broadcasting, owners of a number of stations across South Wales including Swansea Bay Radio and Bridge FM. Town and Country broadcasting were unsuccessful in their original application for the FM licence as South Wales Radio - a "predominantly speech-based service, clearly targeting listeners in South Wales aged 50 and over, with news, debate, information and lifestyle oriented speech, alongside a distinctive mix of melodic, easy listening and Welsh originated music from the past six decades." It is understood the new owners cannot request any changes to the alt rock format of the station until it has been broadcasting for two years, however, the acqusition is seen to be key to Town and Country's expansion into Cardiff. Pop music station Smash Hits Radio has this month said goodbye to DAB digital radio as it gets replaced by easy-listening music station Magic or Heat Radio on many local DAB digital radio multiplexes in England and Wales, and on Central Scotland's regional multiplex. Magic also replaces dance music station Kiss on DAB in several areas including Brighton and Hove, Swansea and Stoke-on-Trent. Q Radio launches on DAB in London, taking classic rock station The Arrow's slot. Rock Radio has recently launched on the North-East regional DAB multiplex. Our radio station directory has been updated to reflect the changes. The local DAB multiplex operator's next target is the Conwy and Anglesey licence. MuxCo will run the local DAB digital radio multiplex, thanks to an award made on 22nd April. MuxCo lines up local radio simulcasts on DAB for the county. Heart, LBC, The Arrow and Galaxy owner Global has paid GBP375million for its arch rival GCap Media in its bid to expand its radio interests. The deal includes Birmingham's BRMB, London's Capital 95.8, Xfm and the One and Gold networks of local radio stations across England and Wales. Global also takes control of Planet Rock and Classic FM on national DAB digital radio. The acquisition signal's further consolidation in the industry following Bauer's GBP1.1million successful bid for Emap's radio and consumer magazine assets in January. The closure of GCap Media's adult contemporary music station Life and bebop, swing, cool and traditional jazz station the Jazz is set to take place tonight, when at 23:59 the stations cease broadcasting on national DAB radio. Life launched at the beginning of the Millennium and follows in the footsteps of two other stations Core and OneWord that have closed in this year alone. Some programming and presenters from the Jazz migrate to national station Classic FM. GCap Media has today announced its aquisition by Global Radio. The closures leave just four full-time stations on the first national commercial digital radio multiplex, operated by Digital One. In separate news, Planet Rock has been granted a reprieve while new owners, Global Radio, decide on the station's future. BFBS Radio has finished its trial on the Digital One commercial multiplex and continues to be heard on the web and around the world. NME Radio will form part of the new line-up for the two counties. Pembrokeshire and Carmarthenshire will see DAB stations, but Powys and Ceredigion lose out. A round up of wi-fi and DAB receivers on display at the South-West's largest hi-fi event. Lincolnshire's DAB digi multiplex is to be operated by MuxCo, it has been announced. GCap Media's Planet Rock and the Jazz are set to close by the end of March, it has been announced. Fru Hazlitt, the company's new chief executive, has today announced a string of cost-cutting measures that also signals the end of Xfm in Manchester, Scotland and South Wales, with the licences being offered for sale. GCap is also selling its stake in national commercial DAB operator Digital One. MuxCo teams up with Lincs FM for the opportunity to run Lincolnshire's digi multiplex. Gloucestershire will launch its local DAB multiplex later this year. The birdsong loop has once again appeared on the national commercial DAB radio multiplex. The last time the country sounds could be heard was in 2003, when Bloomberg Radio ceased broadcasting on the multiplex. Recorded by Quentin Howard, Chief Executive of Digital One, in his back garden, the sound was first used before the launch of Classic FM. Oneword listeners, having lost their station, can now hear country sounds on the same channel. Oneword closed on 12th January for financial reasons. For the first time in its 65 year history, British forces radio BFBS is broadcasting across the UK. The station has taken Core's place on the Digital One national commercial DAB multiplex. The station is broadcasting in stereo on DAB digital for a trial period. The station launched on DAB digital radio on 12th January. National DAB station Core is closing on Friday 11th January, it has been announced. The station will be replaced by an as-yet unannounced service on Saturday, 12th January, likely to be another top 40 chart station [How about Capital 95.8? Ed]. Core launched in November 1999, vying to be commercial radio's answer to Radio 1, but ultimately failing to make a dent in the BBC's younger audience. Core axed presenters at the end of March 2007 and dropped from stereo to mono output in December 2006. The news also follows theJazz' switch from mono to stereo earlier this month, as a result of the removal of the BBC's mobile TV service from the multiplex. Thanks to the withdrawal of one of UBC Media's business partners, Oneword radio will cease broadcasting on 12th January 2008. The station began broadcasting on 2nd May 2000 on the UK's first national commercial digital radio multiplex. Channel 4 sold its 51 percent stake in the speech station to UBC Media for a nominal GBP1.00 before Christmas. Oneword has failed to make a profit since its launch, leading UBC Media to look for an exit strategy. The replacement service is rumoured to be talk-and-soul station Colourful, which had planned to launch on NGW's national commercial DAB multiplex. 4 Digital Group beat NGW for the licence last July, leaving Colourful's DAB plans in the balance. Childrens station Fun Radio has been removed from the local DAB digital radio multiplexes serving Bournemouth, Bristol & Bath, Cardiff & Newport, Swindon & West Wiltshire, Reading & Basingstoke, Essex, Kent and the Sussex coast. The station joined several local DAB digital radio multiplexes following the closure of teens station Capital Disney in late June last year, but has itself now been removed for financial reasons. 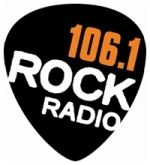 Real Radio digital, the adult contemporary music station on regional DAB in the North-East and North-West of England will make way for 106.1 Rock Radio when it launches on 6th May this year. 106.1 will broadcast to Manchester and surrounding area, but its inclusion on two large regional multiplexes will see the station reach a potential audience of millions. Gemini FM's Torbay programmes will not now need to be carried on the local DAB multiplex serving Exeter and Torbay. When the multiplex originally launched in Autumn 2002, it was planned to broadcast two versions of Gemini FM - one for Exeter and one for Torquay. Over 5 years later, this requirement has now been lifted following an application to the media regulator, Ofcom. CityTalk will join Liverpool's local DAB digital radio multiplex at launch time, it has been announced. The station, which will also broadcast on 105.9FM, launches on 28th January 2008. The new regional easy listening station for the North-East of England, Smooth Radio launched on 8th January 2008 on 97.5FM serving Newcastle, Northumberland and parts of Durham, 107.5 in Fenham, 107.7 in Teesside and 101.2 at Newton, serving the Tyne Valley and Hexham. The station also joins the regional DAB digital radio multiplex, replacing the London version of Smooth. Rainbow Radio, the music and talk station for the African communities in London, will begin broadcasting on DAB digital radio on London's 3rd digital radio multiplex from Monday, January 14th 2008. SMG has turned off its soul and Motown music station Virgin Radio Groove and removed it from London's 3rd digital radio multiplex, where it was broadcasting in the evening. The station closed in late 2007 as a result of cutbacks at parent company SMG. Virgin Radio Viva will not now be joining 4 Digital Group's DAB multiplex for the same reason. Now Digital has extended coverage of its Kent DAB digital radio multiplex with a new transmitter serving Tunbridge Wells and Tonbridge. The transmitter was switched on just before Christmas. It means local stations such as Invicta FM and BBC Radio Kent can be picked up on a DAB radio in and around the towns.